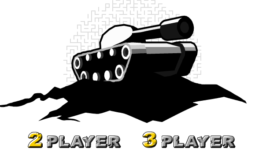 Tank Trouble 2 | Play Tank Trouble 2 Game Online !!! Be the part of the unreal action and drama in this, so to say, a middle-aged game called Tank Trouble 2. Here even the closest friends become sworn enemies and they will not back off in front of each other. At first, you might have the same opponent, but after his destruction, you stay face to face and from that moment there is absolutely no mercy. Be cold-blooded and in full combat readiness, if you want to survive in this devastating and harrowing combat. Remember one thing: Tank trouble 2 does not like posers. Do not declare yourself as a winner too early, because even when the opponent seems to be trapped, he might surprise you with an amazing shot. What’s more, there is a chance that one of your shells will kill you. This game forces you to fight against your friends, as it only has two and three player modes. So you will fire miniguns, bombs and other deadly weapons not at the computer, but your buddies. Are you bored with playing the games all alone, versus a computer? Do you think that PC is not a worthy rival for you? Tank trouble 2 is the superb solution for you because there is no single player mode in here. You will need one or two friends in order to play this game and trust me, your boredom will disappear in a split second. The intensity of gameplay will carry you away for a long time. Furthermore, sole player games might never interest you anymore, because a computer has its frames, which can not be broken, unlike humans, who can offer something new every time you play. This way, the process becomes very interesting. However, being interesting is not enough to be recognized as one of the best flash games. But also, because of the simplicity of controls and the gameplay, Tank trouble 2 holds top positions. Each player needs only four buttons to move and fire, except player 3. He needs the only mouse for all that. It is hard to imagine easier controls unless one day we will have mind controlled computers, but for now, this is the finest one.